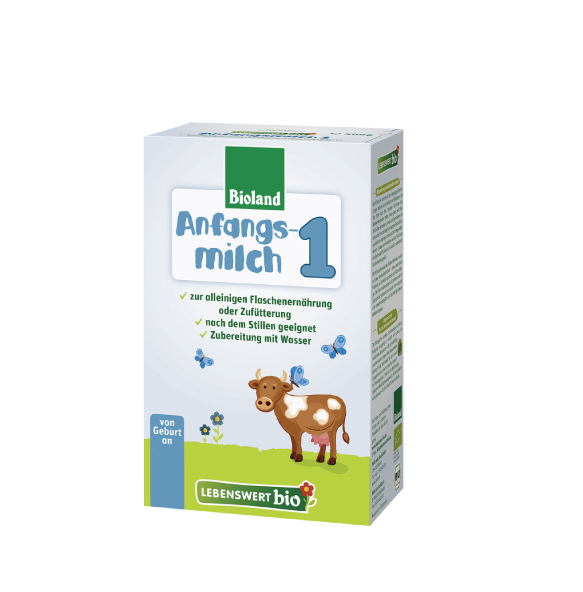 "Lebenswert bio Organic Infant Formula Stage 1"
Related links to "Lebenswert bio Organic Infant Formula Stage 1"
Superb formula, amazing seller. Got bunch of freebies in my order and coupon towards next purchase. Fast delivery despite the fact it shipped from Germany. I love how light the formula is. Creates no colic or gas. 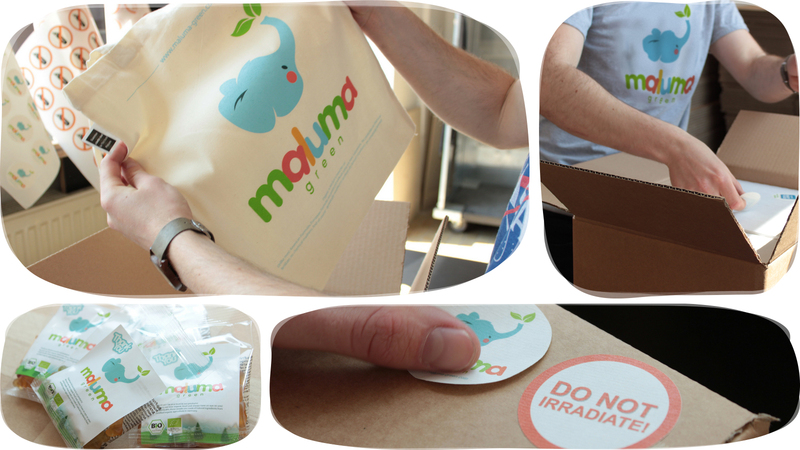 Maluma is one of the only sites to offer fast international delivery with great prices. Highly recommend Lebenswert and Maluma. I am so pleased with my order! It was on time and had sample products in it, which is definitely a plus. I have recommended this company to quite a few people already! the best baby formula there is on the market. Hands down this is the best available formula for babies up to 6 months. Better than the US formulas by far. Holle Lebenswert is the best formula for babies! It's organic, Dissolved quickly. Doesn’t smell weird at all. Easy on my baby’s tummy and peace of mind knowing that I’m giving my child formula that is actually healthy nutritious, and gentle on the stomach. My 4-month old baby girl loves it . So impressed by this baby formula. Fast shipping to Canada, great prices! And the product is exactly as described! I have been buying through Maluma-green for years now, and have had no issues. Thank you for making this process so easy! 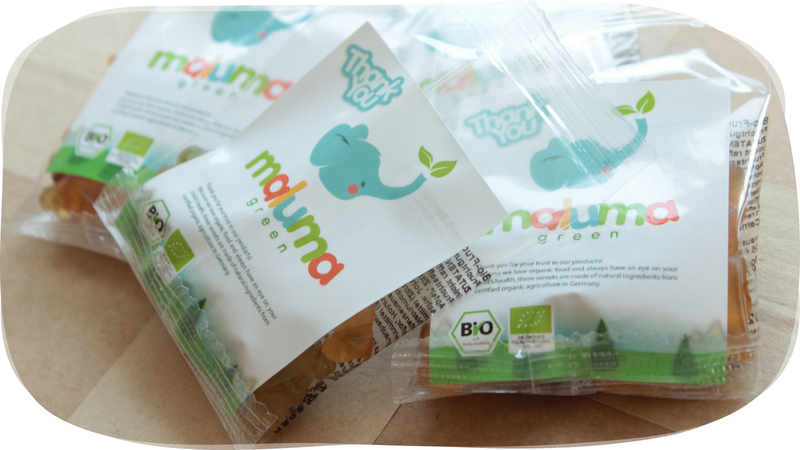 We are very pleased with our formula purchases from Maluma Green! When our pediatrician first recommended buying European formula we tried a couple other sites, and loved the product but knew we couldn’t keep up the cost. After much searching on the internet we found this site which is affordable! We are thrilled to be able to provide our baby with this high quality formula for pretty much comparable price to US formulas. The shipping took approx 2 weeks, it came packaged well and with some free samples! We will be buying all our formula here from now on. I'm very happy that I've found this alternative to formulas in north America. 5 star! Item is great, my infant tolerated it very well. I mix it with breast milk. Took a long time so order early but best price I could find. I used this formula for one of my other children and have always loved it. This was my first time ordering it from this company and will definitely be ordering it from here again. Great prices and with a little planning 2-3 weeks shipping is not bad. The formula and service are both wonderful ! My newborn loves this formula. He has had zero digestive problems and he is very healthy. So glad my friend told me about this brand. I feel so much better feeding this to my little one. Thank you. I'm obsessed with this formula! I wouldn't give anything less to my baby. It agrees with him nicely and he loves it. It doesn't have that "chemicaly" taste or smell like other formulas do. Highly recommend it! And the company is fast and efficient with shipping and always sends lots of free samples! They're awesome! My baby loves this formula, much better than any other formula I could find in the US! Shipping to China was super fast! The company was great. Great prices, shipped quickly, very cute marketing, included samples of other great products with the purchase. My baby loves this formula and I’m so happy to find it at the best price and top notch service. Looking forward to try free samples from Maluma. Thank you! Great formula. Like that this doesn't have a lot of extra sugars. We were supplementing with this and our baby's poop was pretty much the same as when he was just nursing. Cheapest prices and free shipping if you can plan ahead enough to wait! Amazing formula our baby loves it! So far we have not had any problems with this formula other than it runs out so fast! The instructions are rather time consuming & difficult to follow if your baby is unpredictable. We've just started mixing the formula straight away with warm water & it seems to be fine. Very satisfied with my first order! Products were shipped the very next day and they arrived quickly considering international shipping. Also, thanks for the generous samples included with my order! I will definitely be ordering again. Great formula for an even better value! This was a great experience. Living in the United States I have a hard time getting high quality formula for my child. The product arrived in about two and a half weeks. My son is doing well with it. Great product and service! I feel so comfortable supplementing this formula into my infants' feeding schedule! I purchased the Lebenswert organic and am very pleased with this product. Maluma has been a great company to purchase this from as they are fast at getting your order out for delivery and has the best rates I could find. Great product! My baby loves it! He does not experience any issues with it and I know he is getting good food! I've ordered here once so far and had a great experience. Shipping time was accurate & each box of formula was sealed & in perfect condition. My daughter is doing very well after 2 weeks. She spits up less than with her previous formula, and her poops have returned to their normal color on breast milk. They even included a bunch of product samples which I loved. My one criticism is that I did not see any warnings on the website that the instructions on the formula box are only in German. A quick Google search found English directions, but it would have been nice to know to expect it. Will definitely buy again! Love the service! Great formula. My son is transitioning from breastmilk and is taking this formula very well! Our order was promptly filled and shipped, just wish I could say the same for customs! The shipment was well packaged and customer service has been extremely friendly. Great service!!!! Received my order as expected and included also were some organic baby food samples. Enjoyed my shopping experience here ! This company is wonderful! I had an issue with delivery of my first order, it was accidentally left outside the wrong apartment, and they reimbursed my entire cost. I was so pleased with their customer service that I felt more than comfortable going back to them for future orders - they follow through on their commitment to offer quality products and ship them to the US with no hassle, and it's made all the difference! We purchase lebenswert stage 1 and 2 and couldn't be happier with the products received. It's by far the best formula we've tried (and we've tried quite a few organic formulas from the US). It dissolves easilly, and it's friendly on our little one's digestive system. In terms of cost, the total including shipping costs, is quite comparable to what I was paying for organic formula here in the States, so the choice for us to keep going back to Organic Baby was an easy one! We are very pleased with the quality of Lebenswert Infant Formula1 product and the exceptional service that the Organic Baby Food team has provided. It is a shame that in North America this product is not available. Luckily we have you guys to help out. My two month old son loves it, there are no negative effects on him, we are extremely happy we found this website. Keep up the good work Organic Baby Food! We will definitely consider purchasing other products in the future. This formula is great. My baby loves it. It's not as thick as other formulas and doesn't clump at the bottom of the bottle. Excellent service. We had the package shipped to the US and arrived within a few days of placing the order. I did some research to find an organic baby formula for our adopted son. Holle Lebenswert was recommended by a breastfeeding blog and several other breastfeeding advocates as the formula they would use if they were unable to breastfeed. Though it is not approved by the FDA, I like the fact that this formula is free of many unnecessary additives found in most U.S. organic formulas. We started using Holle Lebenswert after switching to Whole Foods 365 organic milk-based formula that we liked a lot. My son responded so well to the Holle formula and we are sticking to it! Our social worker visited between the time we used the other formula and the new one and even she noticed how much more alert and healthy our son looked. His digestion and gassiness improved immensely after having the Holle formula. With shipping, it is just a bit more expensive than the other organic formula we had been using, but it is definitely worth it. Unlike the organic formulas in U.S. stores, there is no DHA or AHA in the formula, but you can add it as a supplement. 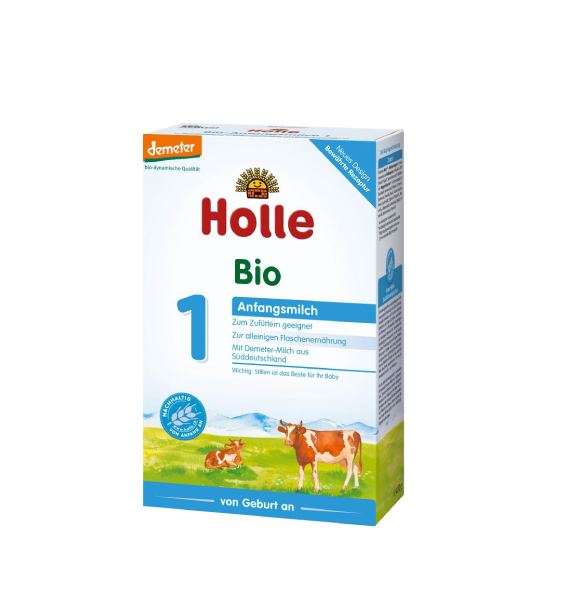 I don't love the packaging of the Holle brand as much, so saved my container from the other formula and use that for the Holle. Something to consider if you use this brand. We are very satisfied with this product. This formula was a god-send. my niece was born underweight and was not able to latch easily. We were able to bottle feed her with Lebenswert with no side effects at all. She took to it like mother's milk. My baby loves this formula! It tastes great with a slight sweetness to it, just like breastmilk. We transitioned from breastmilk to this formula and my baby just drank it with no complaints. The formula arrived earlier than I expected so that was a great bonus. Packaged well! This is the most natural and highest quality formula anywhere! Of course breastfeeding is the best possible thing for your baby but if absolutely necessary this formula is the way to go for sure. Organic Baby Food also has the best prices I've seen. It's so hard to get your hands on this stuff and I'm so gratefully Organic Baby Food makes it accessible and affordable! Thank you!! This was recommended to me by my midwife. I've been using it for a little over 3 months and so far my baby is a healthy as a person could be. He loves the flavor and is growing so well. I love this product! Excellent product. Very happy with shipping as well. This is great formula. Simple, no corn syrup solids. This formula is great, its the only one that I tried that didn't bother my baby's tummy. Organic Baby Food has sent the orders quickly and provides great communication while you're waiting. The best formula there is. Very gentle to the tummy and baby's bottom. This formula is the best I have tried. It is sweetened only with lactose and my baby likes it. Great formula to transition from breast milk my baby didn't taste the difference she loved it! The service was outstanding and formula did not take very long to ship.. Was expecting it to take a month and only took about two weeks or so. We love this formula. We've found it to be the best most natural formula. Our child loves it and has never had any issues with it. Would highly recommend! Perfect. Great customer service and shipping. Sweet baby is also breastfed and loves this formula, it is the only one he'll drink. My baby absolutely loves this formula! He is very gassy but this one is perfect for him. Awesome formula. My baby loves it and has none of the problems associated with other formulas! This formula is amazing. My baby digests it so much better than others. It even smells like breast milk, as opposed to the other formulas we've tried. It was delivered faster than I expected and exactly as ordered. Thanks! My experience with ordering from Organic Baby Food has been very good. I should add that my satisfaction with the product Holle Lebenswert is mixed since my baby did not take too well to it when I ordered it from a different site. I hastened to cancel my order from Organic Baby food and Laura was kind enough to offer to waive the 20$ cancellation fee - it did not come to that eventually, but I was glad to find that this business is not ALL about business. Keep up the good work! This formula is amazing. My daughter loves it and is doing great on it since the first day. Great taste as well. Service is great. They even throw in baby cereal and gummy bears. Totally recommend this formula to friends and family. Thank you! Arrived quickly. We love it! This is the most natural baby formula that we could find on the market. Our baby was also having a lot of issues with throwing up (more than usual) wit other formulas, that he doesn't have with this one. Great formula, moving on to 2 now! Would not give my boy anything else. Light and fluffy and delicious! Wonderful formula. My baby is thriving and very happy with this formula. Wonderful! We are great fans of Holle and its products. We cannot thank you enough. Great service and neat packaging, organic baby food respond in a short time period and always get things taking care of, the products delivered sooner than I expected and they packed everything with care! Thank you! Most important thing is, my baby loves this formula! This formula is a miracle for mothers who truly care what their babies eat. Thank you. Very good formula, but I don't like that there is fluoride added. Great product, love it. About to move up to step two in a few weeks. The order even included some gummy bears and a discount coupon for the next order. It took a little while to come which was due to customs. Unfortunately, Holle is like black market contraband in the U.S. but worth the wait. Also, best to order in larger quantities to reduce overall shipping costs. Great service, quick response time when I had questions. Thank you! It is very good, my son is love to drink this infant. And it's really taste good.